A residential solar lease makes going solar affordable for homeowners. 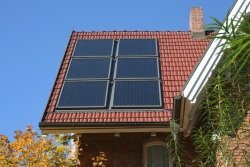 Solar leasing programs are designed to remove the largest obstacle that a homeowner interested in going solar will face - the large upfront cost of purchasing and installing a residential solar power system. Traditionally, when a homeowner wanted to install a home solar power system, it meant they would need to purchase all of the equipment and hire a solar company to install it for them. 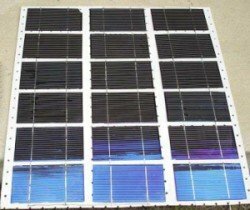 The price for doing this varied depending on your local market, the solar equipment purchased, and the solar company performing the installation, but on average it cost about $9 per Watt. For a 3 kW system, you would be looking at investing close to $30,000. This is the amount of money that the homeowner would need to come up with through financing and incentives in order to go solar. As you can imagine, since this is a major expense it becomes a significant factor in a homeowners decision on whether or not to go solar. 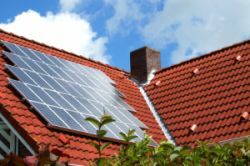 An alternative to purchasing your solar power system is solar leasing. With this option, the company you lease solar equipment from will install the system in your home but will retain ownership of the equipment. In return for your monthly lease payment, you get to use the solar electricity generated by the solar power panels. This will generally be at a lower rate than the electricity provided by your utility company. What's really nice is that as the price of electricity provided by your utility company continues to increase every year, the rate you pay to lease solar energy from the solar power company will remain low, sometimes even flat, over the life of the lease. The most common reason homeowners choose to lease solar energy is the low upfront costs compared to traditional solar power financing options. 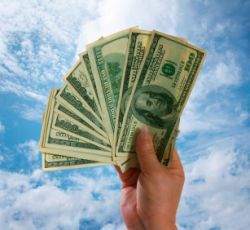 The initial cost is usually in the range of $0 to $1000. With such a low price, leasing solar panels and equipment makes residential solar energy a real possibility for many homeowners that otherwise would not have even considered it. If you are interested in a solar power system for your home, make sure you consider whether a solar lease is right for you.